As the plaster was being finished my husband saw a divot they left in the bottom next to one of the drains. See first pic. We couldn’t swim until the first week of August 2018 so they said they would fix this in the fall. When contacted in the fall they pushed it off until this spring. When contacted in 3/2019 they sent out an inspector and he said they would extend the pipe and fill the divot and blend the plaster. See second pic. Our water was completely clear until the repair and now it is purple. Has been since Sunday 4/13. I have added 2 bottles of metal out ran filter for 24 hours then back washed. Now I still have the filter running it looked like it was clearing up then not. The guy I deal with at my local pool store says it is a reaction to whatever they used to fill the divot with. A&S also has a diver coming out to look at this “repair”. What a nightmare! I thought we were going with a reputable company based on referrals and research. Any suggestions on the water? Can you post a complete set of test results from your own test kit? Have you been replacing the metals cartridge in the Fusion2? My nature2 filter was replaced 3/25 when the pool was open. I have read all of those in depth. Last year I had no issues. This happened only after they put tat hideous patch at the bottom of my pool. I appreciate your issue. We do not provide guidance based on pool store tests. IF correct, you have no CYA and your CH is far too low for a plaster pool. The Fusion2 cartridge contains metals. I suspect your stains are due to metals. Did the pool store test for copper? Yes the cooper is low. I don’t have any stains in my pool only purple water. I understand that it is due to metals in my water. How long should it take to clear up after putting 2 bottles of the metal away in it? And what is wrong with a test from a pool store? 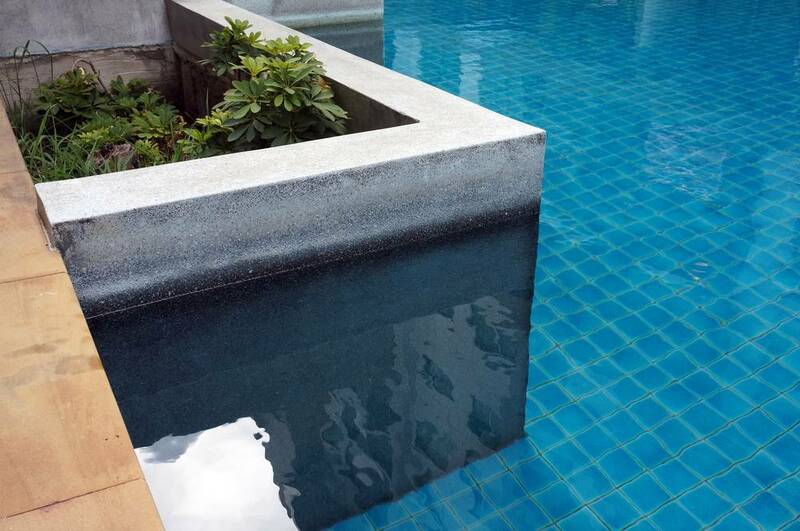 Purple in a pool environment is typically associated with Copper Cyanurate. It occurs when your copper levels get above 0.3ppm and you have high levels of CYA. We find that many times pool store employee’s primary goal is to sell stuff, not necessarily get your pool in perfect condition. As to whether that is because of improper training, lack of knowledge or just to sell stuff I will leave up to you. While you would think that a "professional” would be the best, unfortunately in most cases it is quite the opposite. I see your point. Do you think that the high cooper is coming from the new “patch” they did? Probably not. But a high pH can activate the copper staining. Was the pH tested right before and after the patch was applied? It could also be a coincidence that the copper level hit the sweet spot for staining. Yes. The ph was high so I added Muratic acid then it went to normal. See if anything in the article above applies. Great. So you have not had the mineral pack in your Fusion2 since start up? That contains copper.